What kinds of challenges are you facing? No matter how big or how small your organization is, people are involved. We help optimize human performance at all levels. Work almost always is completed across various people, functions, departments or organizations. We help make the work visible so that problems can be solved and effectiveness gained. We live in a world where technology plays an increasing role in our lives. Sometimes the effectiveness of our work comes down to the reliability of our tools. We help to ensure performance of our tools is aligned with the work and results. End to end solutions to initiate, plan, schedule, execute and complete any type of work using the mobile applications we recommend on smart phones, tablets or laptops. Your field employees will be able to work more efficiently with time at the job site optimized contributing to organizational improvements and most importantly providing time to coach/mentor staff. Start to finish management of large projects requiring collaboration with cross-functional staff, stakeholders, and a focus on work progress and invoicing, risk management, material coordination and quality assurance. Helping to establish or improve your Safety Program including alignment with customer policies and procedures, Occupational Health and Safety Acts/Regulations, safety meetings and collaboration, field hazard and risk assessment and associated training and documentation. This service focuses on the people component of your business, ensuring that expectations, learning, measurements and accountability are managed. We ensure that enabling technologies support your people solutions. 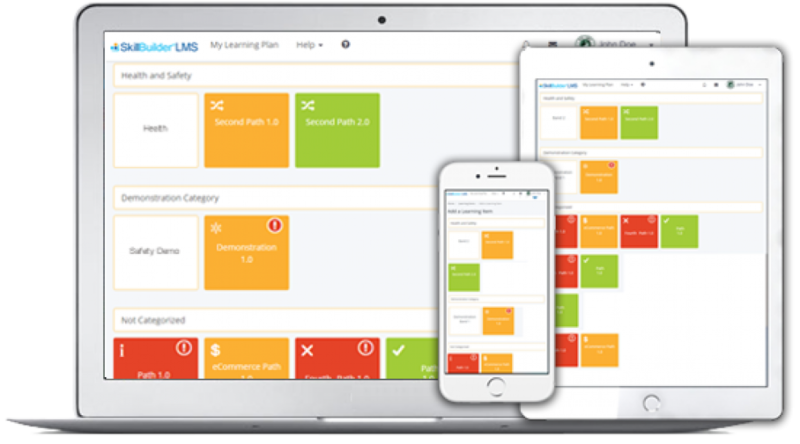 We have a variety of technology solutions including 1) Mobile Work Management for field/office staff, 2) Mobile learning, and 3) Operational Playbook providing real-time access to organization policies and procedural information. The daily reports, pictures, gps coordinates, cross sectional drawings and as builts make the work after the job is completed very minimal. Not much else has to be done for work once the last day on site was finished which is a relief. Get started todayto get the results you need. Prescribing solutions without knowing the problem rarely gets results! Completing this form will help us to get started in a cost effective way. All information is confidential, so feel free to complete as many questions as possible. WHAT-do you observe that indicates there is a problem? WHERE-How general is the problem? With over 25 years of operational experience in a variety of roles including senior leadership, Darryl thrives on getting work done. And he believes that small business can achieve better productivity results without having to spend a lot of money hiring expensive consultants. So in 2013 he incorporated THEM Inc. and specializes in project management using work management tools developed to meet the needs of growing demand. Dave has over 35 years of experience in private business and government, fulfilling roles in operations, learning and performance at the job, process and organizational levels. Dave has a passion for helping people performing their job safely and moving from 'Success to Significance'. His personal beliefs were the primary driver in establishing his own consulting business in 2014 - S2S - to assist organizations to achieve the same result; 'Significance'.